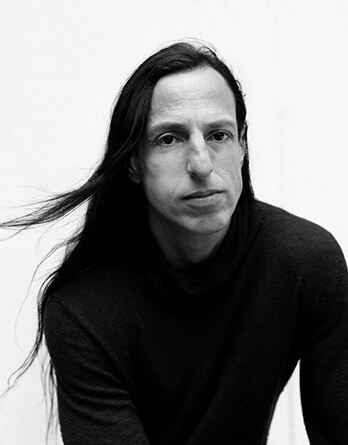 Rick Owens was born 1961, he is an American fashion designer hailing from California, celebrated for his avant garde and subversive eye. His brand begun in 1994 has many asymmetrical dresses, fitted jackets and soft, slouchy knits are Rick Owen's hallmarks. In his collections the old glamour Hollywood meets the grunge, in a dark, urban and sophisticated mixture.